Fuktkontroll AB, the parent company of DehuTech AB, have recently delivered climate and desiccant cooling units to the Royal college of music in Stockholm. 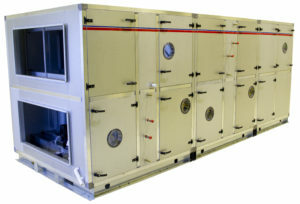 A total of 12 systems have been installed with air flows ranging from 450 to 30 000m3/h. The desiccant cooling units makes sure that the comfortable climate is maintained during the summer time. In the winter, the units provide moisture recovery of the delicate environments inside.